Jeanine Wilder explains SMGA’s Loop & Check greenbelt concept to a visitor to the San Marcos Greenbelt Alliance booth at the 2nd Annual Green Living Expo sponsored by the San Marcos Chamber of Commerce. Charlie O’Neil (seated) talks to a family about opportunities for hiking and biking in San Marcos natural areas. 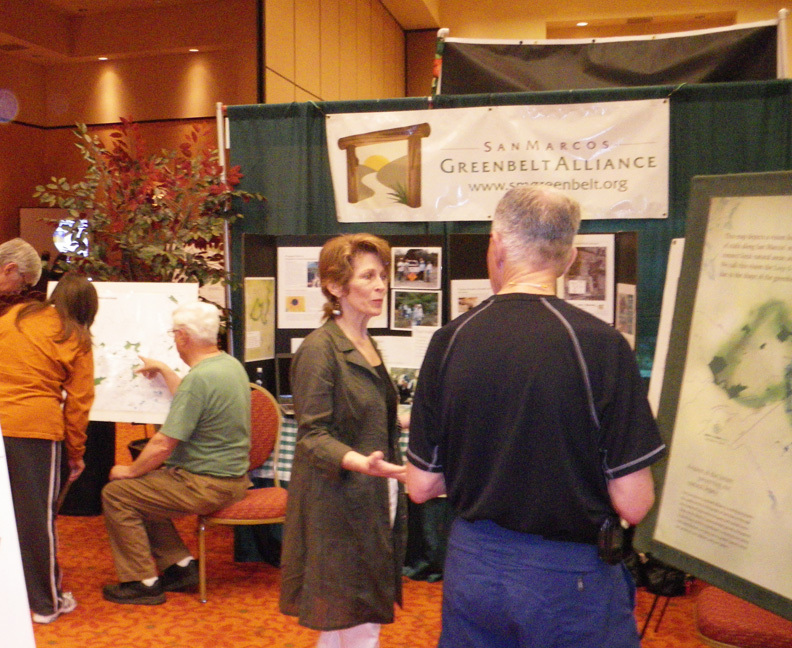 More than 750 people visited the Expo held at the Embassy Suites/San Marcos Convention Center on 3/26. Lots Got Done in 2010!